Both look like great period pieces. Love the costumes! Kate Beckinsale is beckoning me... She is a double fox, I tell ya. 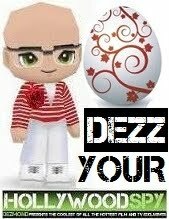 Hello, Dezzmeister! What you got cooking today? I like the way she says, "Come hither, you blue devil, you." 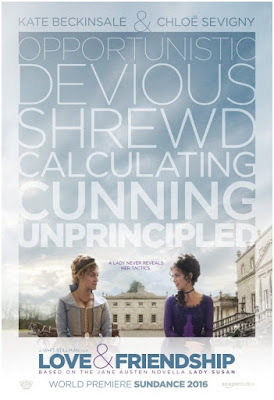 A Jane Austen story I had not heard of? Wow. I thought that was a novel fragment, one she didn't complete before her death. 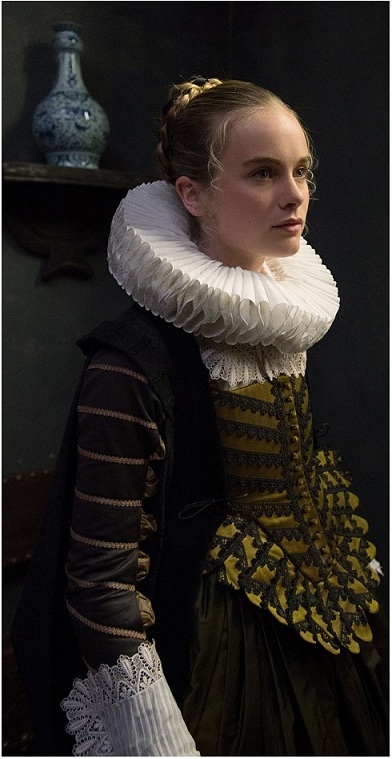 Tulip Fever is going to be good. I read the book and loved it. It was fun to learn about the wild speculation on the tulip bulb market and the subsequent crash. Also the movie comes with the "Dench Factor"-an instant success. That's so sad-Jude getting too old to play the part. Happens to all of us though. I should know that Jane Austen wrote short stories but I had no idea! I don't think she'd have trouble "securing a husband"
I think I'd really like Tulip Fever, but man! What is with those ugly neck pieces that look like bunched up coffee filters? Yikes! Between that, corsets and those massive bustles, women were imprisoned by clothes. I'm so glad they finally allowed us to wear trousers. The pressure on their internal organs had to be tremendous for those whalebone corsets. The shoes for women are just as bad. We end up with spinal and hip damage from the way it throws our posture over. Me, I stick to trainers. did you know that people didn't even have left and right shoe, but just one model for both feet until 18th century or something like that. I don't get women who smash their body in corsets and sky high shoes. I think Allison is going to be one of them though and it drives me nuts. She came hopping down the stairs in some sky high Jessica Simpson heels and skinny jeans, looked me square in the eye and said, "I am going to be the kind of woman who dresses like this every day. High heels and skinny jeans, all day, every day." I like makeup and dressing up every now and again, but doing it every day is not my thing. I don't know where she is getting her fashion sense from! Mariah is complete opposite. Jeans, sneakers, not an ounce of makeup. Hell, half the time she doesn't give a flip if her hair looks decent or not. Two completely opposite kids! which is why Allison will probably have more fun every day :) I only can't stand seeing ladies in platform shoes, that is the ugliest thing I've ever seen! Corsets and sky high shoes... Sounds like a great title of a movie. Who is directing? I'd like to see Love and Friendship. Those 'ruffs' look extremely uncomfortable. Have a good one, Dez. Kate is drop dead gorgeous! Ooh! Historical film. Okay, I'm in.